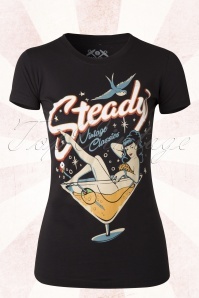 Start exercising your musical scales because in this 50s Electric Mic T-Shirt in Black by Steady Clothing you're totally ready! Short sleeves, round neckline and a striking colourful print of a mic. Made from a lovely stretchy black cotton that will keep it's fitted shape, even after a few washes. 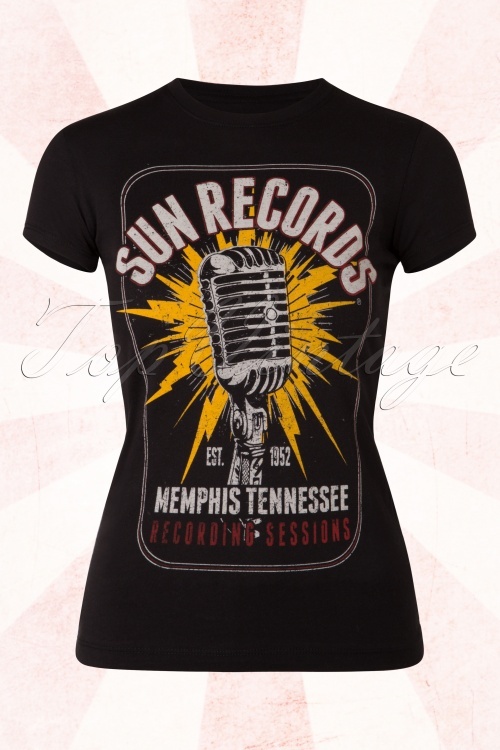 Pair with jeans for an edgy look or match with a sassy pencil skirt, no matter what rockabilly look you're after; this shirt is always the right choice! 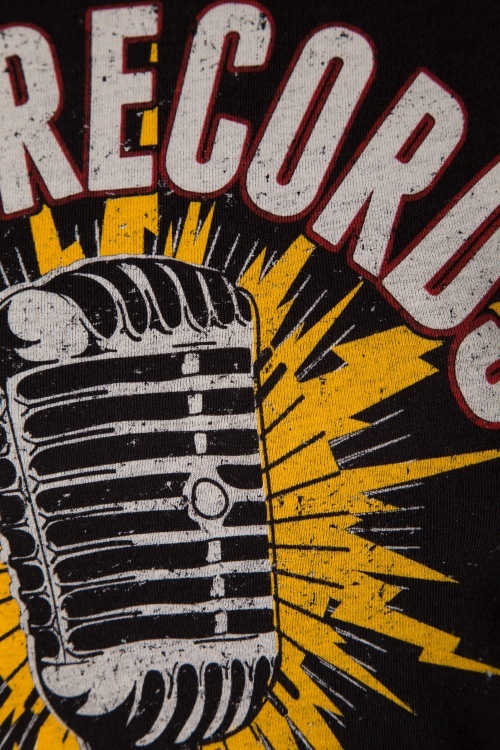 Grab the mic and... this shirt!